The future of clean air in the kitchen has taken a leap forward with the ingenious FONDA hood from the BLANCO by GUTMANN portfolio. 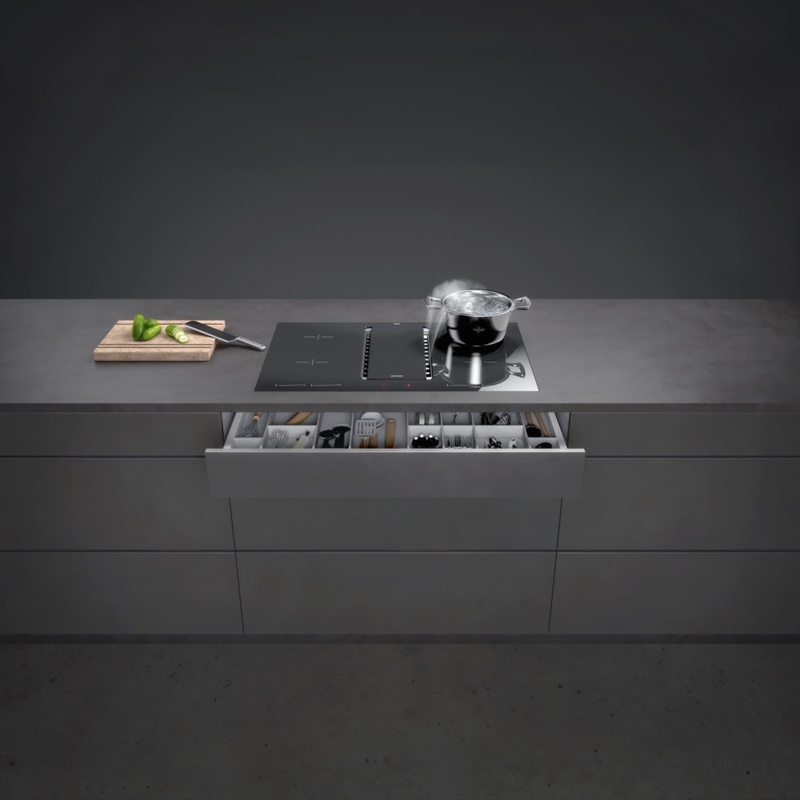 Combined with a stunning hob, the FONDA is a clever, space-saving, downdraft extraction system with an installation height of just 8cm. Perfect for small or large kitchen design schemes and flexible in terms of installation and location, the FONDA sits quietly and discreetly in a streamlined, functional space. 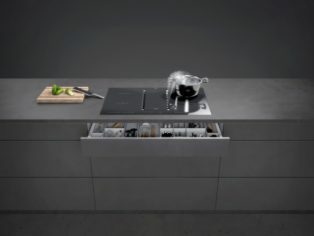 In subtle black glass, complementing the induction hob, the hood comprises a four-stage filtration system – for grease, condensation, odour and micro-fine particles. The motor is positioned at the back of the cupboard unit so saving space and the trough ventilation boasts four power levels. Capacity is an impressive 600³/hr and the sound pressure levels range from 52-65dB. The integral hob features four induction cooking zones with individual touch slider controls and boost and double-boost heating levels. As always with BLANCO hobs, the chef of the house can enjoy the individual timer function, three “keep warm” temperatures, auto-pan recognition and child lock.